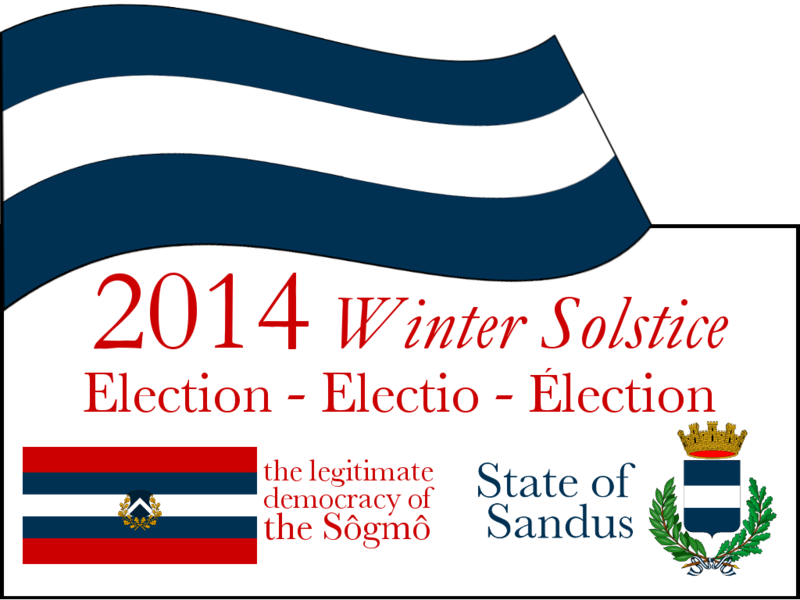 The Sôgmô has published ballot questions for the State of Sandus’s annual Winter Solstice election. Two questions are simple two-choice questions pertaining to the legitimacy of the Sôgmô to govern and the Sôgmô’s «Building Democracy & the Council» plan; the last question is a fill-in question pertaining to petitions, the standard “Easement of Petition to the Government” section. 3. In the space following the next explanation and question, write-in any petition you may have to the office of the Sôgmô. To abstain, do not write your vote. As according to Articles 1, 3 and 4 of the Founding Law of the State of Sandus, the office of the Sôgmô is tasked with the complete and total expression of the government of the State. This means that all policy and laws are enacted and conducted by his authority. In Article 4 of the Founding Law, however, each Sandum citizen is guaranteed the rights of life and, especially, the right to petition. Therefore, in order to ease the process of petitioning the government, you may write any petition upon this section of the ballot. Please separate each different policies either wish a semi-colon (;) or by breaking each line (ENTER key). 3.a. By your vote, what policy or policies do you wish the Sôgmô to enact and conduct? 3.b. Describe the voting process. Was it easy to vote? 3.c. If a majority of positive votes is reached in Question 2, what would you like to see on the agenda for the first council meeting? Information on the «Building Democracy & the Council» plan can be found here and the decisions made about the plan at the last Party Congress can be found here.